Peace was scheduled to be baptized under the auspices of the American Rose Society on April 29, 1945, coincidentally the dayBerlinfell. 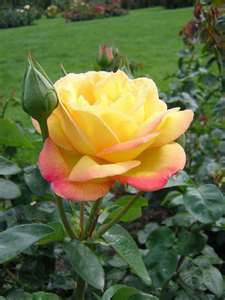 What a great day to celebrate, a beautiful rose, named for the noble idea of ‘Peace’. Celebrate life; celebrate peace! 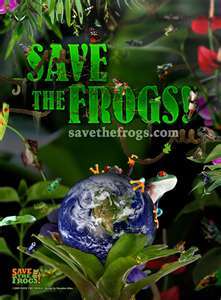 Saturday, April 28th: Y’s celebration is for YOU WOULDN’T BELIEVE IT: a SAVE THE FROGS DAY. People across theUS andUK are banding together today in a celebration of the frog. According to http://www.savethefrogs.com, “Amphibian populations have been rapidly disappearing worldwide and nearly one-third of the world’s amphibian species are on the verge of extinction. Up to 200 species have completely disappeared since 1979. Frogs and other amphibians face an array of threats from climate change to habitat destruction; pesticide use; over-collection for frog legs and dissections; invasive species; and infectious diseases spread by human activity. Frogs eat mosquitoes, provide us with medical advances, serve as food for birds, fish and monkeys, and their tadpoles filter our drinking water. Plus they look and sound cool, and kids love them! 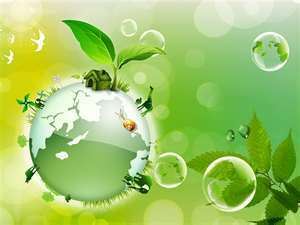 Go green today, do something good for our planet, help save a frog. Friday, April 27th: X’s celebration is for X-CELLENT JOB BABE RUTH. 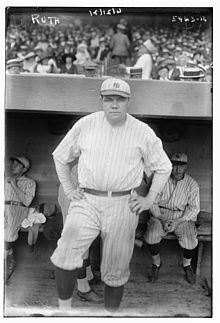 Today is BABE RUTH DAY, a day commemorating a baseball legend. On this day, in 1947, Babe Ruth, also known as “The Bambino” or “The Sultan of Swat” attended Yankee Stadium to be honored at Babe Ruth Day. It was the next to last time he was at the stadium, also known as “The House that Ruth Built”. In 1927, “The Bambino” was the first player to hit 60 home runs in one season. Wikipedia.com states, “Ruth set career records for home runs (714), slugging percentage (.690), runs batted in (RBI) (2,217), and on-base plus slugging (OPS) (1.164).” In 1961 Roger Maris surpassed Ruth’s record with 61 home runs. And, Hank Aaron beat Ruth’s lifetime record of 714 home runs in 1974. Regardless of his records being topped, Ruth’s popularity has not dimmed. W’s celebration is for WELL, I’LL BE – Is that a POEM IN YOUR POCKET? Thursday, April 26th: W’s celebration is for WELL, I’LL BE – Is that a POEM IN YOUR POCKET? 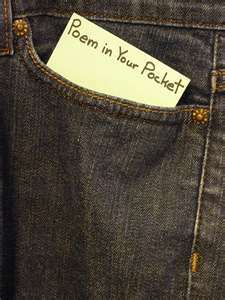 The Academy of American Poets sponsors NATIONAL POEM IN YOUR POCKET DAY every April 26th. They claim it’s simple. Just select a poem. Carry it in your pocket today. Share it with family, friends, and co-workers. Share it on your Facebook status. Tweet it, if it’s short enough. There are other ideas on their web page (http://www.poets.org/page.php/prmID/406). What? You don’t have a favorite poem, no idea what you want to carry and share? Poems are available here: http://www.poets.org/page.php/prmID/59. There’s even an i-phone app. Happy Poem in your Pocket Day! The Albany Herald states, “According to the federal government, 18.7 million people fell victim to crime and physical violence in 2011.” Victims and their families benefit from help in several different ways. They need emotional and moral support, witness support during the judicial process, and practical support such as financial assistance, medical treatment, or insurance claims assistance. Tuesday, April 24th: U’s celebration is for UNARGUABLY A GOOD IDEA – It’s NATIONAL TEACH YOUR CHILDREN TO SAVE DAY. The American Bankers Assn Education Foundation (ABAEC) sponsors this day where more than 12,000 bankers visit classrooms acrossAmerica to teach children of all ages the importance of saving and making fiscal fitness a lifetime habit. 1. Talk openly about money with your kids. Communicate your values and experiences with money. Encourage them to ask you questions, and be prepared to answer them – even the tough ones. 2. Explain the difference between needs and wants, the value in saving and budgeting and the consequences of not doing so. 3. Set up a chore chart and give your children an allowance for completing their tasks. Require them to save at least a small portion each week. The three jars method, one for spending, one for saving and one for charitable contributions is a good way to impart a sense of responsibility. 4. Open up a savings account at your local bank for your children and take them with you to make deposits, so children can learn how to be hands-on in their money management. 5. Be an example of a responsible money manager by paying bills on time, being a conscious spender and an active saver. 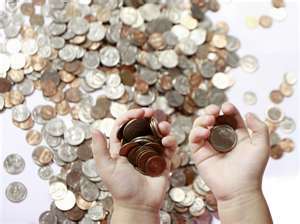 Children tend to emulate their parents’ personal finance habits. Monday, April 23rd: Aye Matey! No, no … methinks that I chooseth the wrong tongue. 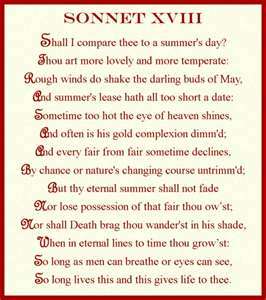 T’s celebration is for TALK LIKE SHAKESPEARE DAY. April 23rd, Shakespeare’s birthday (many, MANY years ago) has been officially proclaimed as ‘Talk Like Shakespeare Day’. Thou sayest that you don’t know how to dispense prose like the bard? Here are two sites that will help thee out a mite. 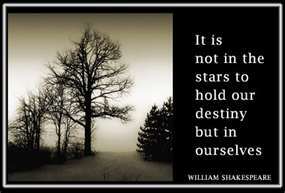 Good morrow mistresses, knights and knaves. that we are caretakers of this planet. The packaging for a microwavable “microwave” dinner is programmed for a shelf life of maybe six months, a cook time of two minutes and a landfill dead-time of centuries. What poor as well as rich families leave on the sidewalks these days for the Sanitation Department to cart away looks to me like the stuff people used to load on moving vans, not on dump trucks. I see lamps, umbrellas, TV sets, playpens, baby carriages, bicycles, tables, refrigerators – all cut down in the prime of life. 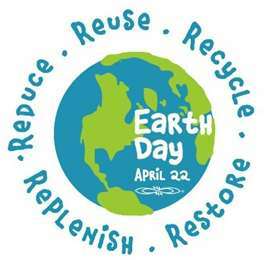 We have been educated to use; we shall now have to be reeducated to reuse, restore, renew and conserve. Walk lightly in the spring – Mother Earth is pregnant. Today I’m celebrating a healthier ME! 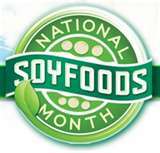 S’s celebration is for SOY FOODS MONTH. Saturday, April 21st: Today I’m celebrating a healthier ME! S’s celebration is for SOY FOODS MONTH. Part of celebrating every aspect of life includes living a healthier life that gives us energy and vitality. April is Soy Foods Month. Incorporating more soy into my diet is one way (one of several) towards better health. And besides, what better way to annoy those you love (and those you don’t love) than to live longer? Heart health. A good source of plant protein, soy is one of only a few food components that reduces blood cholesterol. Weight management. Soy can help people achieve lower body weight and may help to redistribute unhealthy fat deposits away from the body core. Wholesome nutrition. 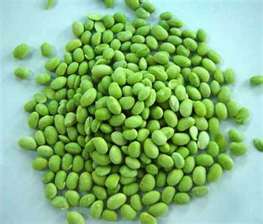 Eating more soyfoods in place of animal-based protein sources lowers saturated fat, cholesterol, and calories in the diet, while increasing important nutrients like dietary fiber, foliate, iron, and other minerals. R’s celebration is for REASONS: It’s CLEANING FOR A REASON WEEK (April 17-23). 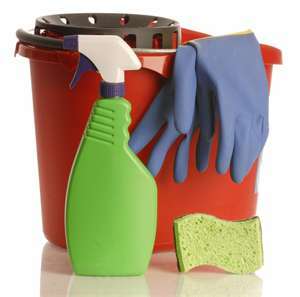 Friday, April 20th: R’s celebration is for REASONS: It’s CLEANING FOR A REASON WEEK (April 17-23). No, it doesn’t entail hard work. I saw this and immediately images were conjured up of all the reasons I needed to clean. But, NO! It’s even better than that. You don’t have to clean at all. This celebration was established by the Cleaning for a Reason Foundation in 2009 to raise awareness that there is an organization that works to provide free residential cleaning to women who are undergoing treatment for cancer. Activities will be held nationwide to let women know that there is a foundation that allows them to focus on their health while the foundation focuses on their home. 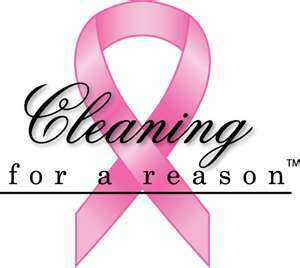 As their website states (http://cleaningforareason.org/), “Fighting cancer is difficult enough, but living with it is even tougher and that’s where Cleaning For A Reason steps in. As a nonprofit serving the entire United States and Canada, we partner with maid services to offer professional house cleanings to help women undergoing treatment for cancer, any type of cancer. To date, we have helped more than 9,000 women with cancer with more than $1 million in donated cleanings.” Go check out the web site, sign up for their newsletter and see how you can help with the gift a cleaning.